This morning I got the whole family registered for the "Run for Ribbons" which is being sponsonsored by the Tri-Cities Cancer Center Foundation. It will support local cancer patients and their families. 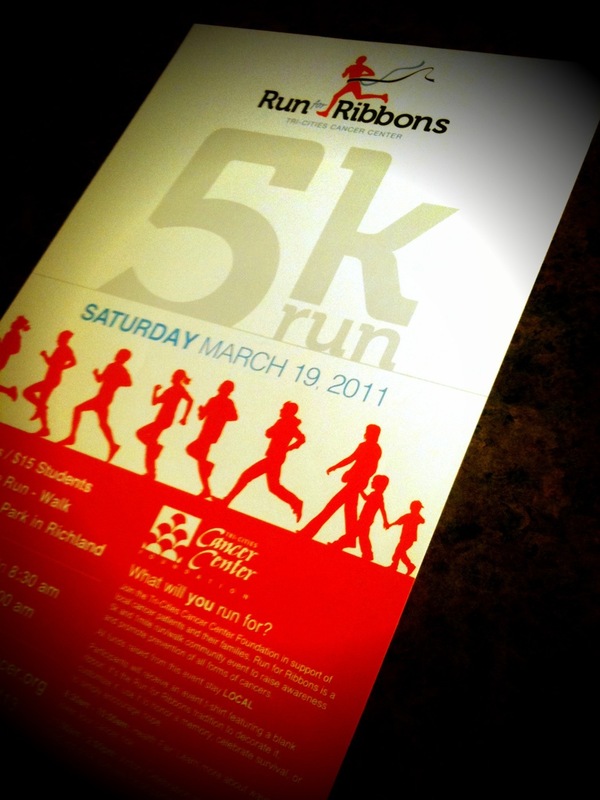 Run for Ribbons is a 5k and 1mile run/walk community event to raise awareness and promote prevention of all forms of cancers. Our family will be running for a cure to support Brain Cancer! We're registered to walk. Got to pick-up the shirts today. I sure hope they have the shirt on Friday.